Celebrity chef Hayden Quinn is all for home-cooked meals rich in vegetables. Exclusive: Two of the most common beliefs stopping people from eating healthily are today busted open as myths. As Australia struggles with burgeoning obesity rates and rising cost of living, exclusive research reveals a good diet is neither significantly more expensive nor more time-consuming. The two perceptions are often given as reasons for people not changing poor food habits. However the research, conducted by Taste.com.au as part of their Eat Real campaign, revealed that the average price difference per week between those who ate badly and well was just $9; and the time difference in meal preparation was just 3.8 minutes. That's less than the time it takes to boil an egg. The vast majority of those sampled - whether their diets were rated poor to fair or very good to excellent - spent almost exactly the same on groceries per person each week, falling into one of three bands: $100-$149 per individual week (32 per cent and 32 per cent); $150-199 per week (23 per cent and 24 per cent) or $200-249 per week (14 per cent and 15 per cent respectively). "It's easy to get caught up in the marketing machine that tells us that healthy food is expensive," said Dr Nick Fuller, an obesity expert from the University of Sydney. "We've convinced ourselves that buying kale is better for us than buying broccoli, but the truth is that all leafy green vegetables have similar nutritional values, and they are all good for us. 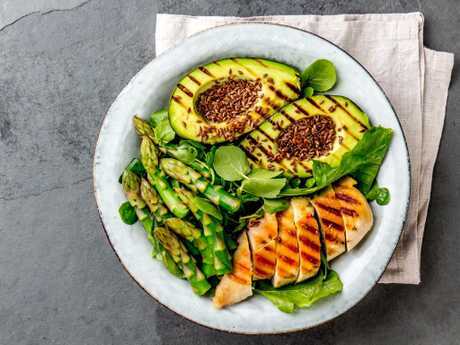 You're better off buying whatever leafy green is in season or on special that day," said Dr Fuller, author of best-selling book, Interval Weight Loss. "It's the same with buckwheat, it has a similar nutritional profile to rice, so why not just buy rice," he said. "Not only are seasonal fruit and vegetables some of the most affordable foods you can buy, they also have greater satiety than your typical convenience foods, so you're also getting more bang for your buck," he said. Experts agree the idea that preparing healthy food is difficult and time-consuming is another mental stumbling block that needs to be overcome. The Eat Real data shows that those with a poor to fair diet spent an average of 36.4 minutes in the kitchen per meal, while those with a very good to excellent diet spent 40.2 minutes. "Once again, we're getting caught up in the very convincing argument that our meals need to be complicated," said Dr Fuller. "We don't actually need to spend our weeknights scouring supermarket shelves for obscure ingredients or making recipes with hundreds of steps. You don't need a lot of ingredients nor a lot of time to put together something that is healthy and enjoyable to eat." 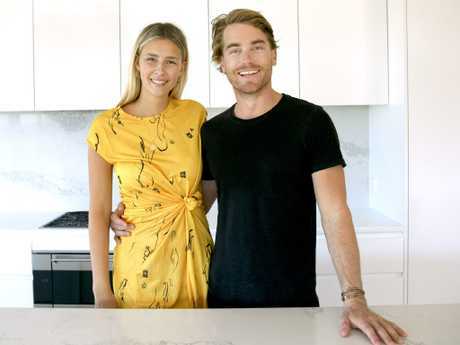 Despite busy schedules, ex-MasterChef contestant and surfer chef Hayden Quinn and his American model girlfriend Jax Rayner, still manage to find the time to cook each evening. "If you have time to wait around for food to be delivered, you have time to cook," Hayden said. "Dinner takes us about 30 minutes, and we're not always in the kitchen for the whole time. We'll often put something on and then leave it to do other things," said Jax, who also has her own food blog, Model Turned Cook. 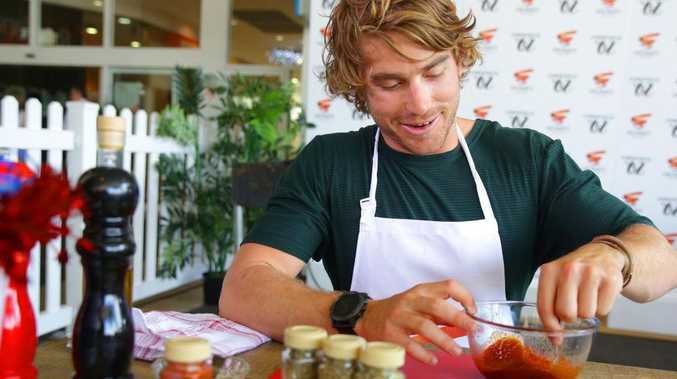 While some may imagine that Hayden and Jax spend their weeknights plating up Michelin-starred feasts, the truth is, they're more likely to whip up something quick and simple. "We'll often just get a nice piece of fish, and do that with grilled zucchini and a small salad," said Hayden. "I also like to get a whole heap of roasted veg - so eggplant, sweet potato, cauliflower and garlic, and just throw it all together with Greek yoghurt and flatbreads." "These are just store bought flatbreads, mind you. We're not making our own flatbreads - no one's doing that." While Hayden and Jax may know their way around the kitchen a little better than the average couple, it's simply a case of practice makes perfect, says Hayden. "Both of us are pretty good cooks so we can speed things up, but even our housemate who's still building his confidence in the kitchen can still punch something out in 30 to 40 minutes." While spending more time or money won't necessarily buy you a better diet, cooking at home, however, can have a huge impact on your health. 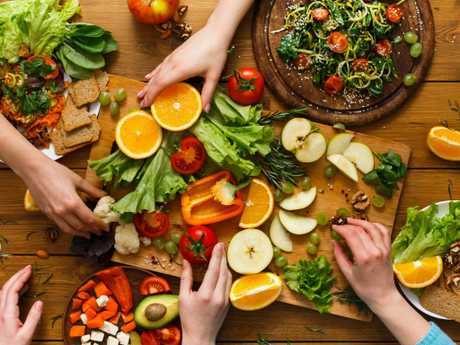 The data shows that those who cooked and ate at home five or more times per week had a 33 per cent higher healthy eating score than those who only did so only zero to two times per week, which was one of the most significant findings of the study. "The objective of any restaurant is to get you to come back again, and they do that by making the food delicious, by way of salt, sugar and fat, in quantities you could never justify at home," said Dr Fuller. "Cooking at home gives you complete control of the meal. There's nothing wrong with the occasional meal out, however we should be trying to limit that to one or two times per week." Taste.com.au's Eat Real campaign is cutting the confusion and guilt around food and helping those struggling to eat well to fall in love with what's on their plate. 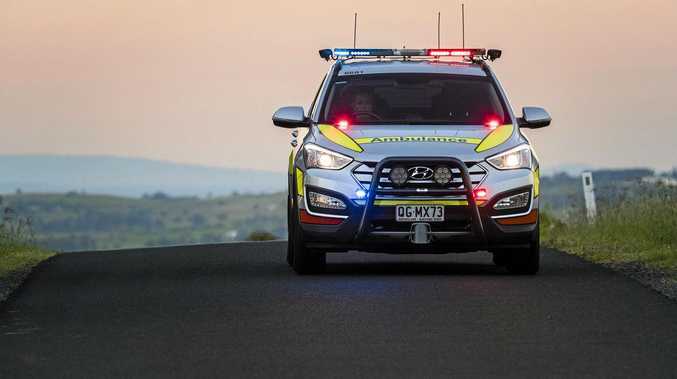 As part of the mission it analysed the eating habits of 22,000 people in the Great Australian Eating Survey and an even more detailed research panel of around 1500 people. Eat Real features recipes and menu plans (including the budget conscious Eat Real 14-day challenge), news stories and a Facebook support group and the new Eat Real Unwrapped podcast series - and it is all for free attaste.com.au/eatreal .